When the economy went south in 2002, and photography assignments grew scarce, I decided to head north and return to commercial fishing in Alaska. I landed a deckhand job aboard a 43-foot cod jigger, which eventually led to a king crab job in the Bering Sea. 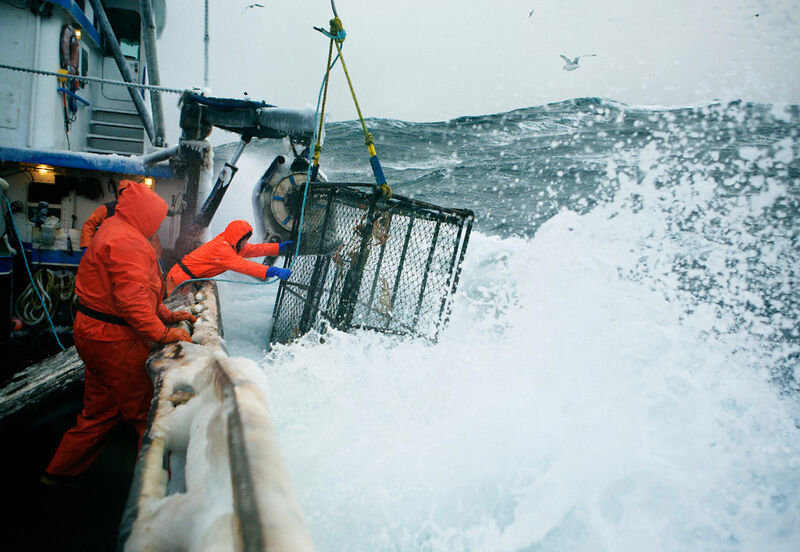 I spent seven winter seasons crabbing aboard the f/v Rollo and brought my cameras along to document the experience. Widely considered one of the world’s most dangerous jobs, we endured seas up to forty feet and a seemingly endless succession of sleepless nights, regularly shuffling 800 pound crab pots around the pitching deck in freezing conditions. I’d keep two cameras on my bunk at all times, wrapped in Ziploc bags and duct tape, and shoot in between work and sleep. Many of my best photographs were never made as all hands were needed on deck during the fiercest storms. Fish-Work: The Bering Sea was published as a monograph by Nazraeli Press in 2011.